I’m sending my Sims to bed but they either get back up after a very short time or just wave as if something was blocking their way. I can’t get them to sleep. This issue can have several causes and it is possible that something is not working as it should. Double beds are not accessible from both sides. Something on the wall or on the ceiling is blocking the bed. The room is not closed. Use the 50/50 Method to find the culprit. You can scold the pets to not wake you up anymore. Common noise sources are: TV & Stereos, ear buds, wind chimes, babies .. make sure they are in other rooms or turned off (yeah, not the babies, they somehow don’t seem to have a switch off button). Make sure your Sim has a good relationship to the Sim they’re supposed to share the bed with. This cause is going in the direction of a bug as they’re supposed to scoot over which they don’t always do. If there’s already a sleeping Sim in the bed than scooting over is not possible. 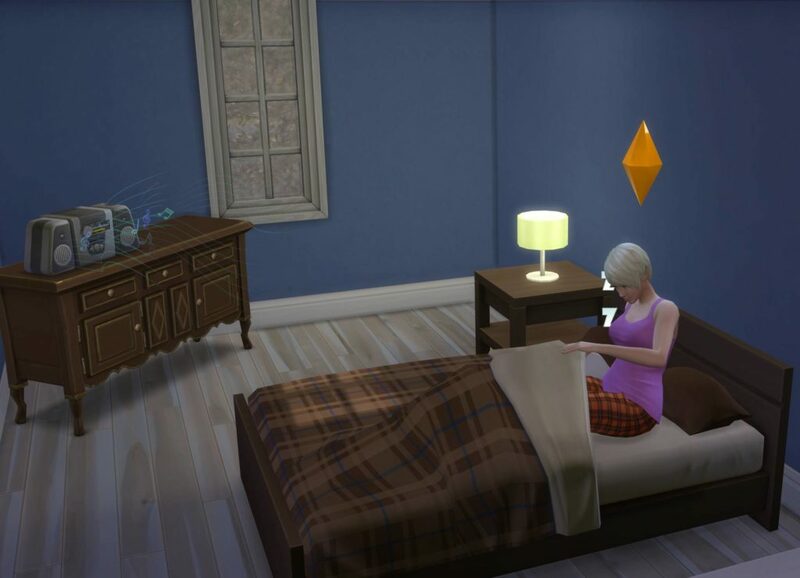 Make sure that double beds you wish to use for two Sims are not directly placed against a wall on the sides. Check all pictures and ceiling lamps. Especially with low walls, some of the ceiling lamps can lead to routing issues. If your bedroom only has an arch instead of a door and the room isn’t completely closed off otherwise, noise sources from other rooms can also become an issue. If you still have issues after trying all these, please post in the AHQ bug report on it: [NEEDS SAVES] Sims won’t stay in bed. Please also provide your save game.